Allergic to any of the ingredients, Pregnant or breastfeeding, Under 18 years of age, Already taking a medicine for sleep Disturbances or anxiety. Valerian may make you feel drowsy. If affected do not drive or operate machinery. 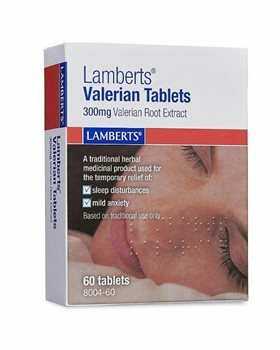 The effects of valerian can be increased by alcohol and excessive alcohol consumption should be avoided. You must consult your doctor or a qualified healthcare practitioner if your symptoms worsen or do not improve after 4 weeks. Read the enclosed patient information leaflet carefully before using this product.